New York's theater district, offers a wide range of unforgettable shows, many of them geared towards families, and we'd like to share a few Broadway show tips for parents. The vast array of Broadway and off-Broadway shows satisfy every child's craving for non-stop entertainment. By taking a few Broadway show tips into account, parents are guaranteed that their child's experience is unforgettable. Broadway shows can be very pricy. Tickets to the kid-friendly The Lion King show start at $80. For a family of four, $320 can be a high price to pay. Tickets for the upcoming Tarzan start at $91 a piece. Before going, it is best for families to plan on how much money they can afford. Sometimes, off-Broadway shows are the better choice. Moscow Cats Theatre offers breathtaking stunts, and tickets start at just $65 each. The popular show Stomp also starts at $65. All four of these shows will please children, but their prices may not always please parents. Setting a budget offers the first step to selecting the shows a family can reasonably afford to attend. History of Sammy Davis Jr. If your on a tight budget you can try the TKTS Booth at Times Square which sells same-day tickets at a discount. These discounts vary, some are up to %50 off regular price. To book discount tickets in advance try BroadwayBox.com a community driven effort to post all avaliable Broadway discounts. Once parents have determined their show budget, they should utilize the Internet to learn more about available shows. There are many ticketing websites that allow visitors to research the prices of different shows. Creating a list beforehand of possible shows will help narrow down the choices that appeal to children. Parents should also ensure that the Broadway or off-Broadway show is appropriate for their child. Broadway offers an unlimited selection of topics. Children can pick Broadway plays or musicals based on their favorite storybooks or movies. Shows of this nature guarantee a child's interest is held from start to finish. Also take into account the length of the Broadway show. Most shows are two hours long with a brief intermission. It can be a challenge for a young child to sit through a show of that length, especially if he or she is bored by the show. Therefore, it is important to choose one that will be appealing to the entire family. While there are many Broadway ticketing outlets available on the Internet, prices and availability vary greatly. Families will discover that the official Broadway website sells tickets to The Lion King for $80 a piece, while the same tickets sell for $55 through another outlet, and just $40 at a third! Shopping around is certainly worth the time and can save a family plenty of money. Many sites also offer hotel and Broadway package deals. Booking a hotel/Broadway show package promises the tourist gets a great hotel rate, while also guaranteeing Broadway show tickets. This is an exceptional feature for families looking for both a hotel and a show. If a child is excited to see a Broadway show that appeals to him or her, there is no greater disappointment than a sold-out show. Purchasing tickets in advance guarantees that visitors to Broadway will be seated immediately. Lines outside a Broadway show can go on for miles, especially if the show is popular. Purchasing Broadway tickets in advance prevents any disappointment. A vacation is not going to be much fun if a child is miserable due to a mistake that could have been prevented with advanced planning. One of the easiest and most important Broadway show tips for parents is to arrive early to a Broadway show. This is advisable for a number of reasons. First, it can take time to locate the proper seats. Given additional time, the mezzanines and floors will be relatively empty, making it easy to find seats. Crowds will make finding seats a more difficult feat and no one enjoys a late arrival once they are situated. Another benefit to arriving early is that families can beat the rush of people looking to buy their tickets from the ticket office. Ticket lines can be absurdly long and quite pushy. Finally, arriving early guarantees the attendee will not miss the beginning of the show. There is nothing worse than missing the opening number! 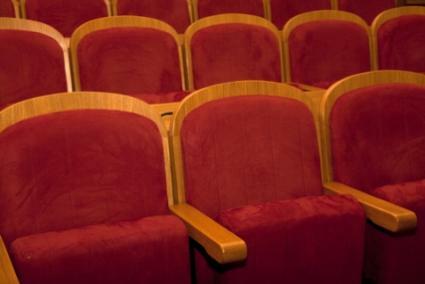 A child who can behave in a movie theater should do well at a Broadway show. These are basic manners that every child should know. Talking during a show should be kept to a whisper. Cell phones must always be turned off. Climbing on seats is inexcusable. If a child cannot behave with restrictions of this nature, chances are the child is not ready for a Broadway play and this part of the vacation should be saved for the next visit to the Big Apple.